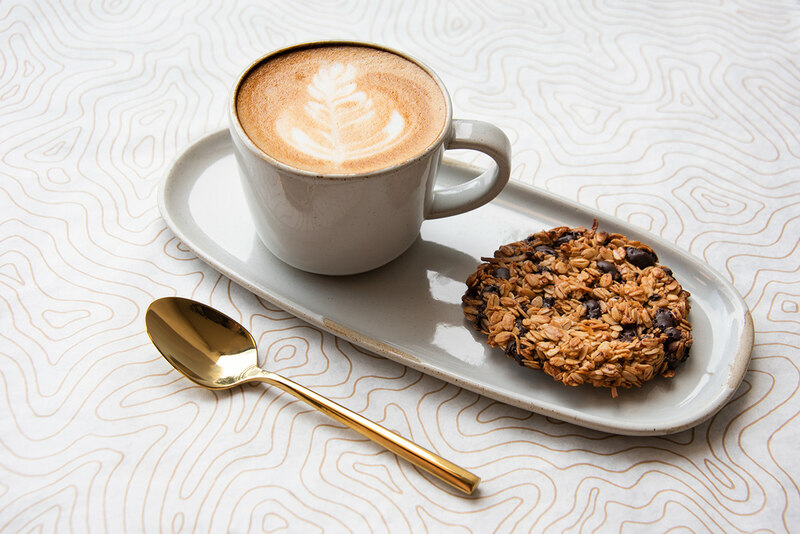 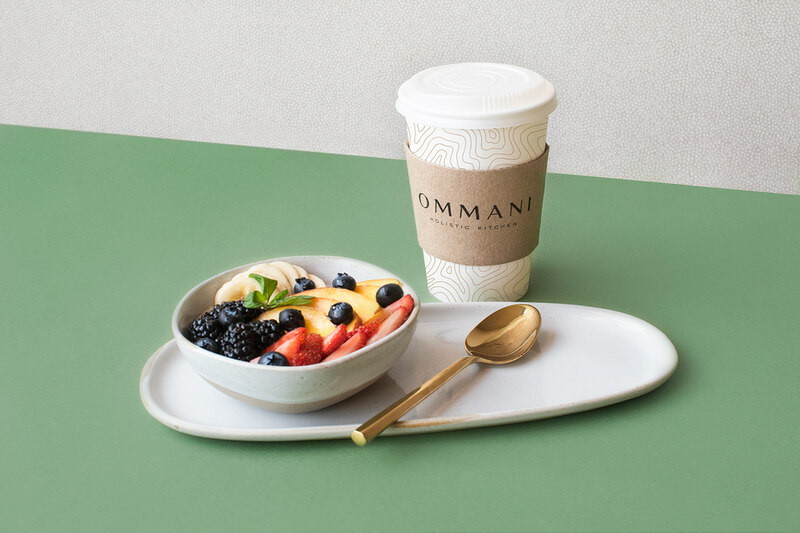 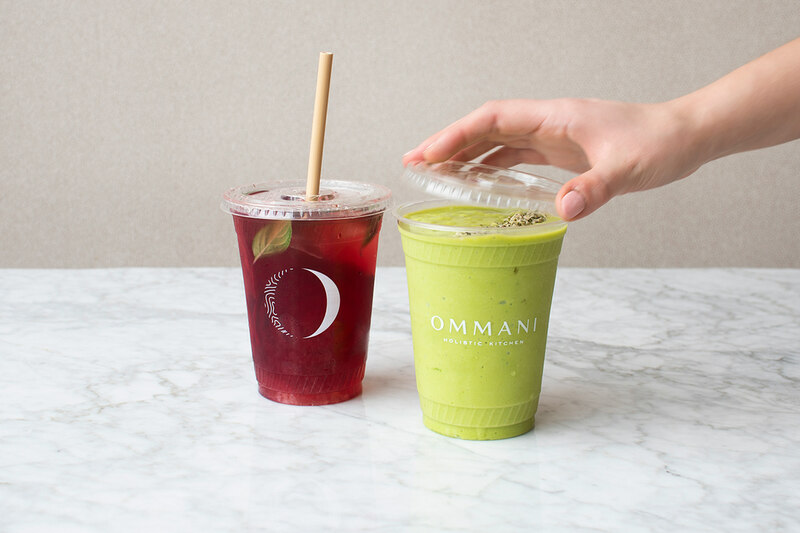 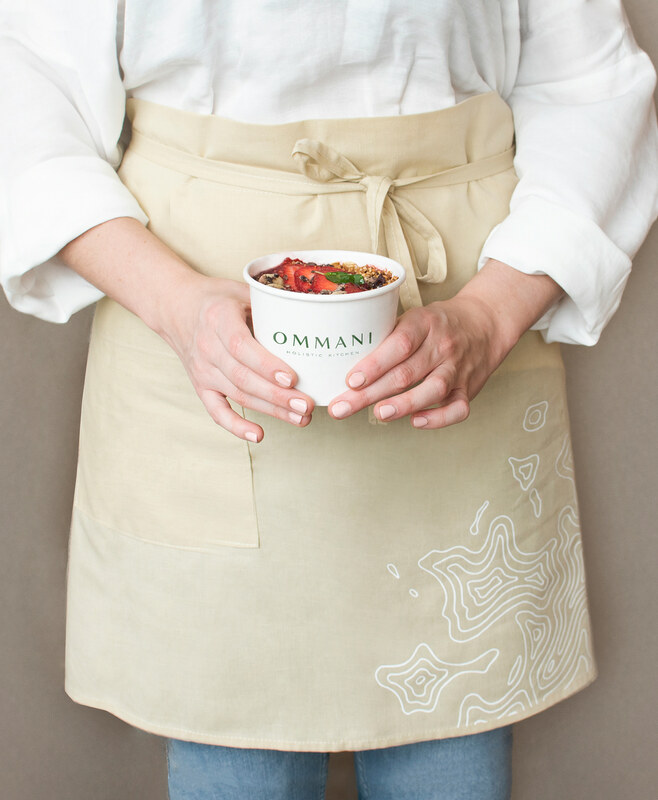 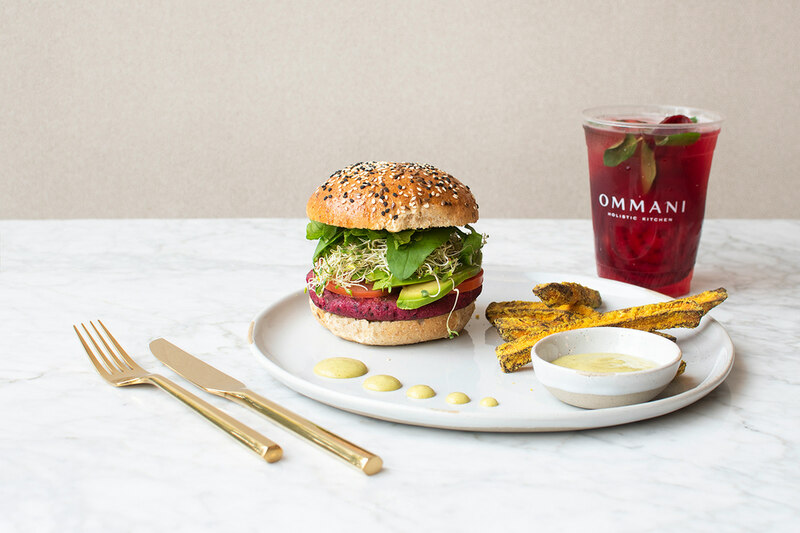 Ommani is a Holistic Kitchen dedicated to providing food, beverage and products that promote a healthy lifestyle. 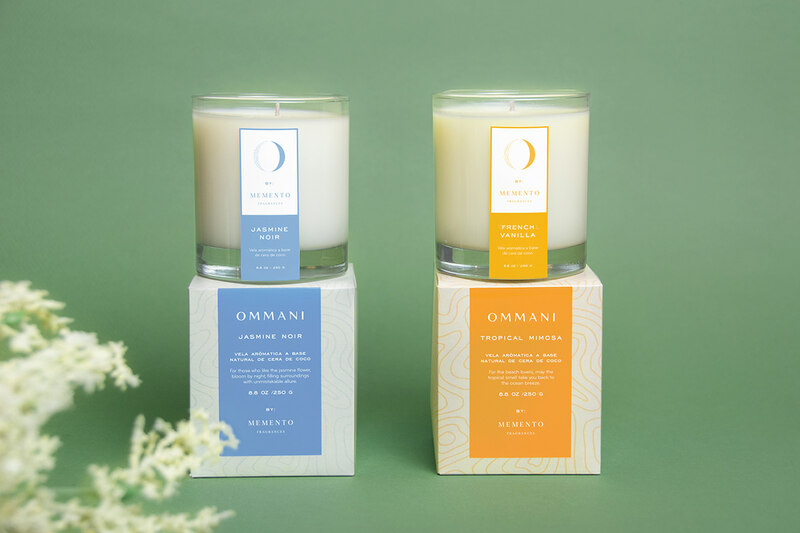 Visually inspired by natural, peaceful elements like zen gardens, the moon, flow of energy and a color palette of earth, sand and stone. 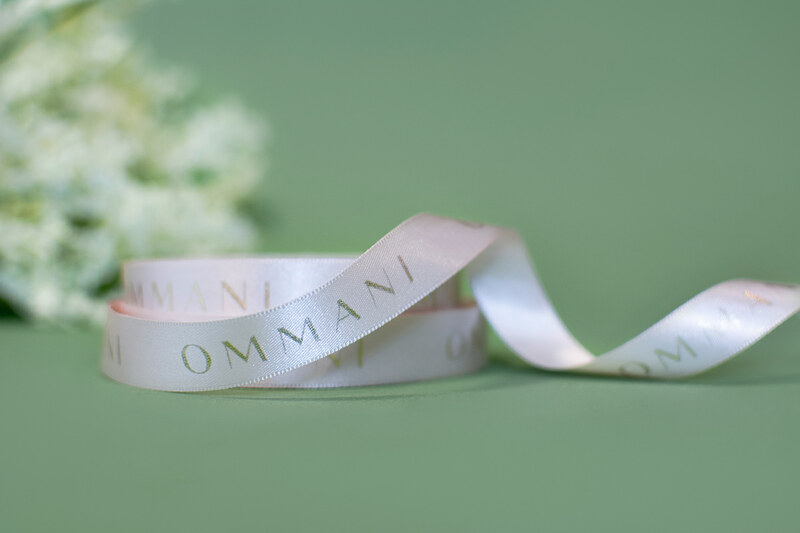 The name references a known mantra, “Om mani padme hum.” It speaks about transforming an impure body, speech, and mind into the pure, exalted body, speech, and mind. 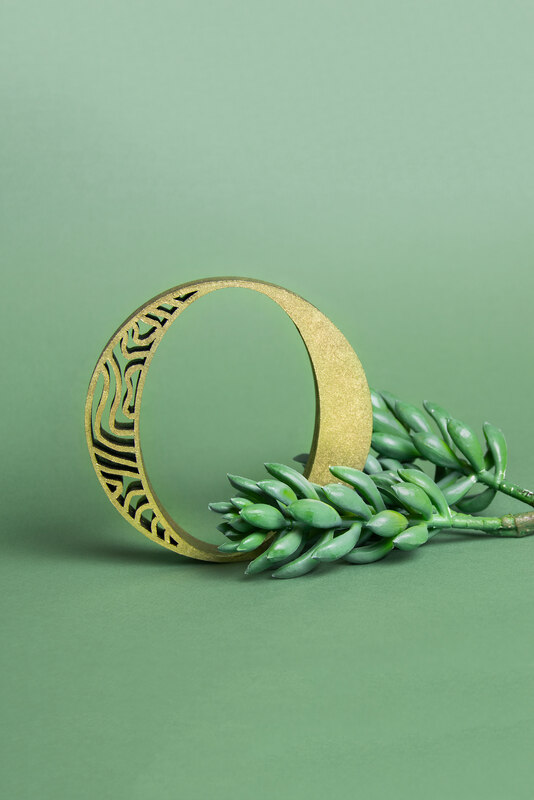 The brand’s pattern is inspired by zen gardens and calming waves that represent the flow of energy. 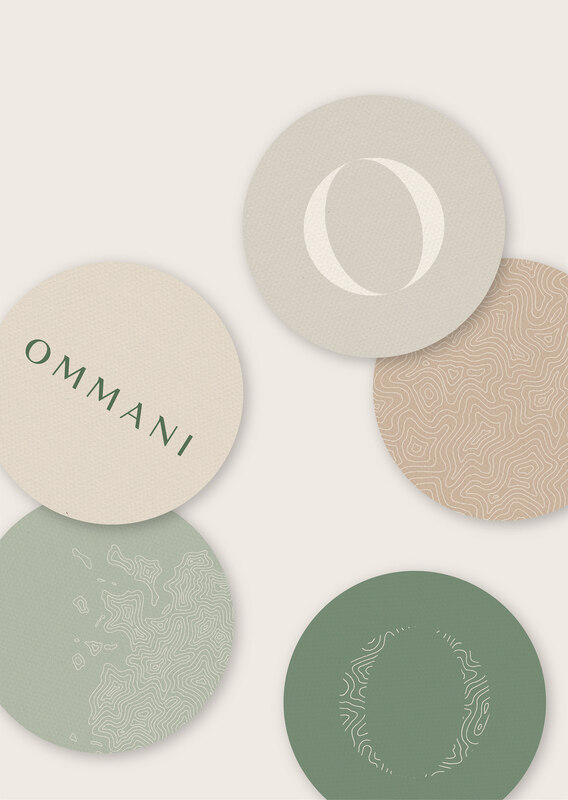 This earthy graphic is used throughout the materials, such as wrapping paper and packaging. 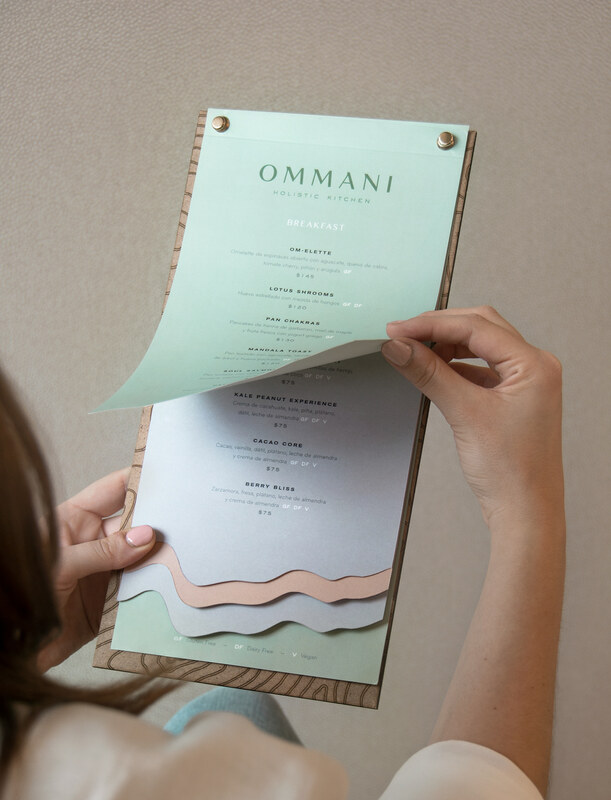 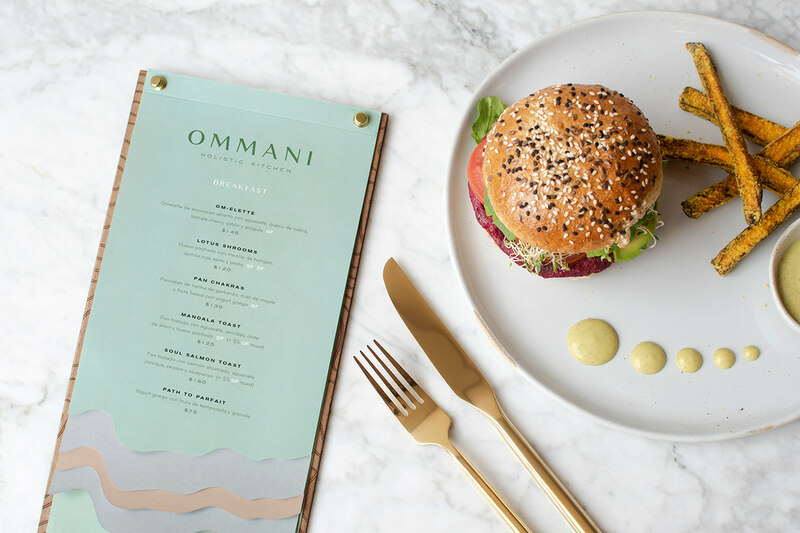 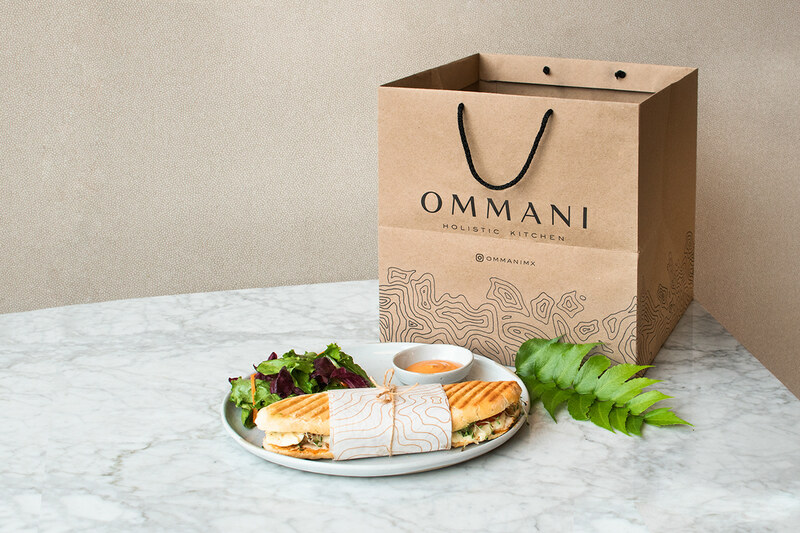 To keep a consistent line throughout the experience, we helped Ommani develop creative names for their menu as well. 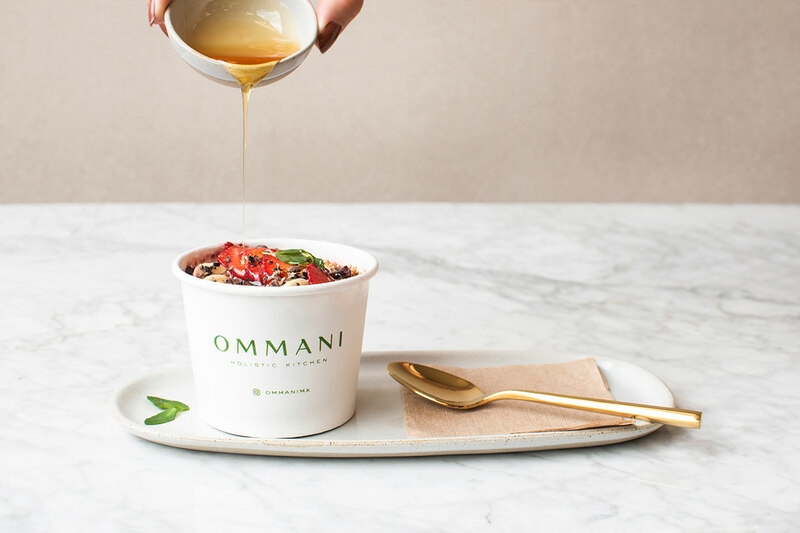 Some examples are the Om-elette, Path to Parfait, Açai Aura, Yin Yam, Portobello Portal and Cacao Core. 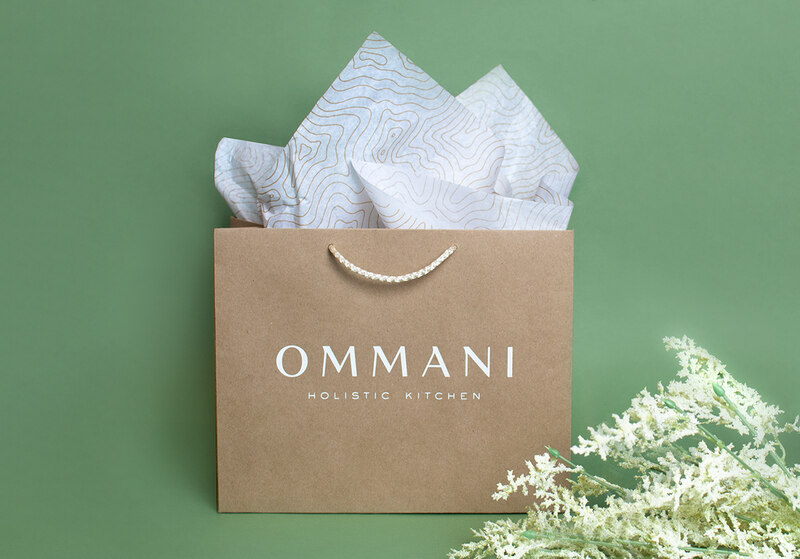 The decorative wrapping paper doubled as a protective wrap for food or as giftwrap for the purchase of products. 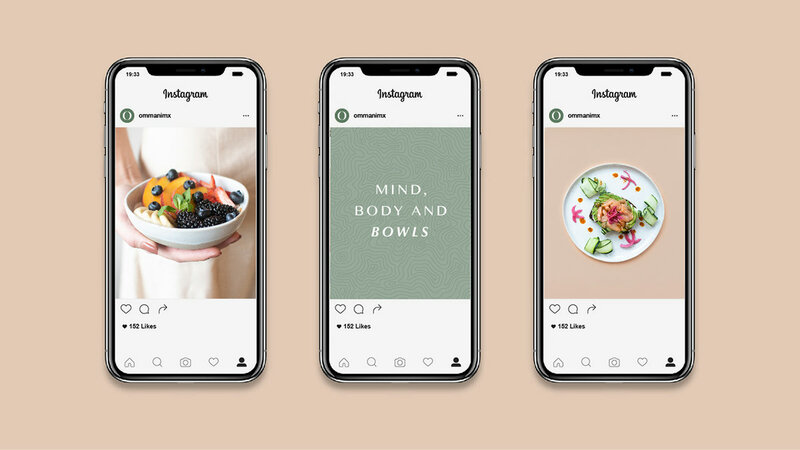 Follow us on instagram to view more content!